N.B. Requires 'AttackerA-R0c2' LOD from the SFP1 Dev A-Team website. 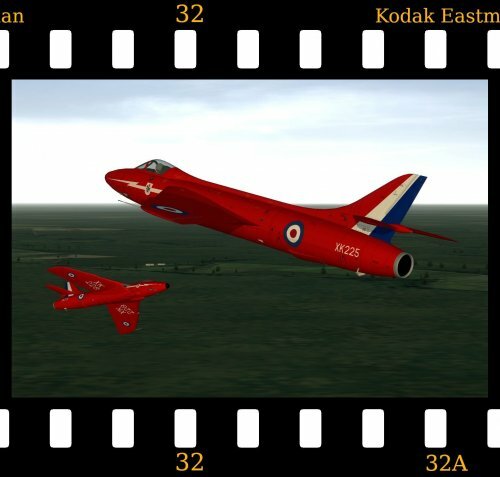 This is a simple mod of the Attacker FB.2 'Beta' hosted at the SFP1 Dev A-Team website to give an Attacker FB.1 of the Pakistan Air Force who were the only export customer for this pioneering but rather pedestrian British aircraft and, indeed, the last export customer for new-build Supermarine aircraft. 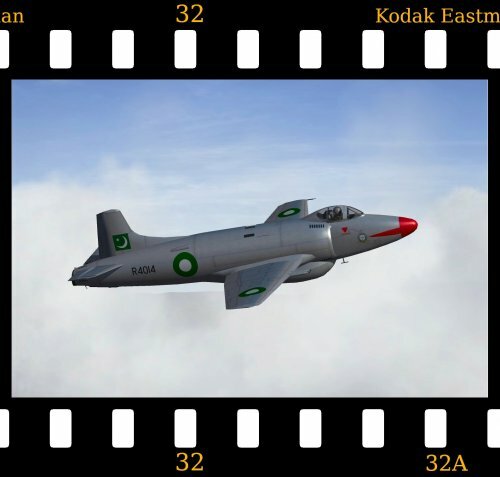 Serial numbers for all 36 Pakistan aircraft (R4000 to R4035) are included and an alternative 'nose' bitmap is included if you prefer not to have the red nose seen on many pictures of this aircraft in service with the Pakistan Air Force. 1. From the AIRCRAFT folder drag and drop the AttackerFB1_PAF folder into your Aircraft folder. 2. From the DECALS folder drag and drop the AttackerFB1_PAF folder into your Decals folder. You must then copy and paste the AttackerA-R0c2 LOD from your existing Attacker into the AttackerFB1_PAF aircraft folder. Thanks to Ralph Pegram who created the FS2004 model and to Capun for the conversion into SFP1. This is a very simple mod of the stock MiG-23MLD to give a fictional MiG-23MLDK in Kurdistan service from 1991 onwards. 1. From the AIRCRAFT folder drag and drop the MiG-23MLDK folder into your Aircraft folder. 2. From the DECALS folder drag and drop the MiG-23MLDK folder into your Decals folder. As always, big thanks to Third Wire for a great little game/sim. 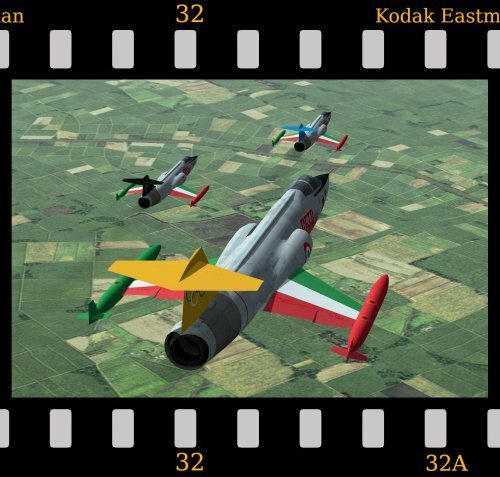 Important: This mod requires Strike Fighters 2 Expansion Pack 2. 1. From the AIRCRAFT folder drag and drop the Lightning1B folder into your Aircraft folder. 2. From the DECALS folder drag and drop the Lightning1B folder into your Decals folder. F 6 Karlsberg in NMF. F 21 Luleå in a splinter type camo. 1. From the AIRCRAFT folder drag and drop the F-100S folder into your Aircraft folder. 2. 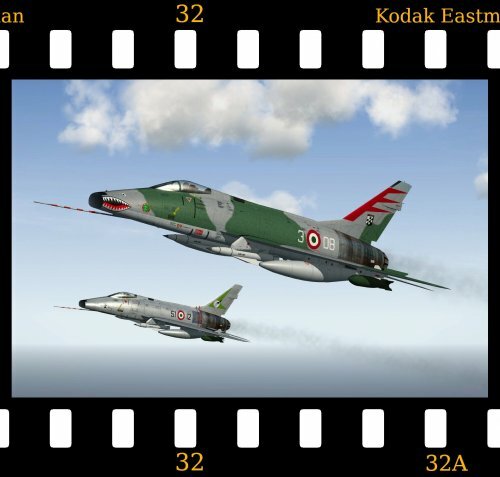 From the DECALS folder drag and drop the F-100S folder into your main Decals folder. This is a very simple mod of the stock Third Wire A-4E to give a fictional USAF A-4D with markings for the 416th Tactical Fighter Squadron ('The Silver Knights') in 1967 although the service years are a more generous 1964 to 1985.
designation system) the USAF Skyhawks saw extensive service at home and abroad and, in particular, served with distinction in Vietnam where they replaced a variety of tactical aircraft. 1. From the AIRCRAFT folder drag and drop the A-4D folder into your Aircraft folder. 2. 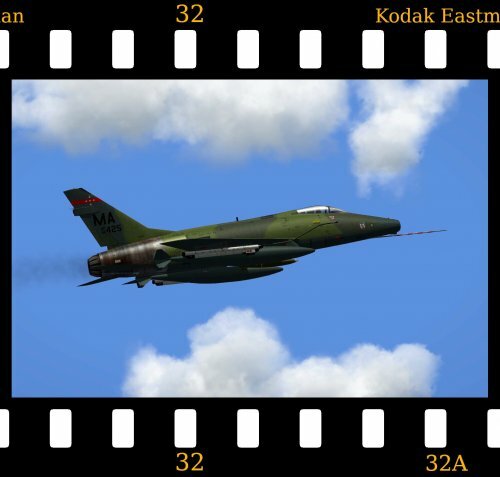 From the DECALS folder drag and drop the A-4D folder into your main Decals folder. The 125th TFS of the Oklahoma ANG. The 131st TFS of the Massachusetts ANG. compensatory gesture Rockwell were given a $45million contract to upgrade 90 F-100D's for continued service with the ANG with the aircraft emerging from their Columbus, Ohio plant as F-100G's with refurbished engines, partially re-skinned wings and minor avionics upgrades. The first unit to receive F-100G's was the 131st Tactical Fighter Squadron based at Barnes Municipal Airport in Westfield, Massachusetts who had been scheduled to convert from the F-100D to A-10A's but instead received F-100G's which served until 1986. 1. From the AIRCRAFT folder drag and drop the F-100G folder into your Aircraft folder. 2. 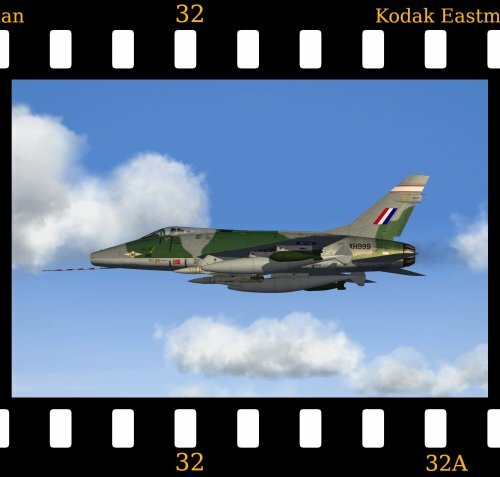 From the DECALS folder drag and drop the F-100G folder into your main Decals folder. No.331 Squadron RNoAF in standard RAF Camo. No.332 Squadron RNoAF in NMF/Silver finish. No.91 Squadron RAF in standard RAF Camo (not a real world user). This mod requires AI Plane Pack 2 and should not conflict with the stock Third Wire Spitfire F.Mk 22. 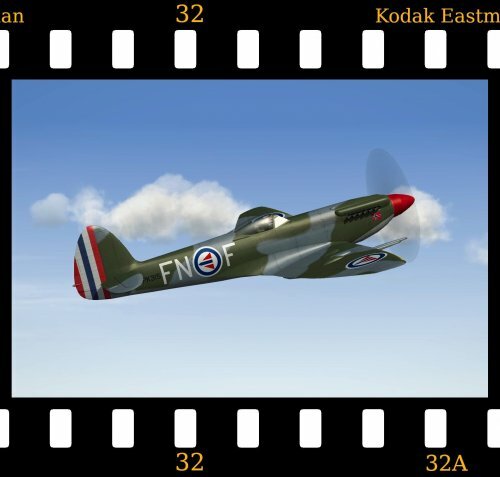 I have elected NOT to make this Spitfire F.Mk 22 nation specific for the RNoAF but have kept it as RAF so as to allow other future skins to be dropped in. 1. From the AIRCRAFT folder drag and drop the SpitfireF22 folder into your main Aircraft folder. 2. From the DECALS folder drag and drop the SpitfireF22 folder into your main Decals folder. At this point it might be a good idea to change the pilot to whatever you've got in your install suitable for the early post-war period. Special thanks to Kesselbrut for the Spitfire cockpit (an oldie but goldie). This is simple mod of Gabilon's Yak-41 'Freestyle' to create a fictional Yak-41M in service with the Ukrainian Naval Aviation and the Ukrainian Air Force. 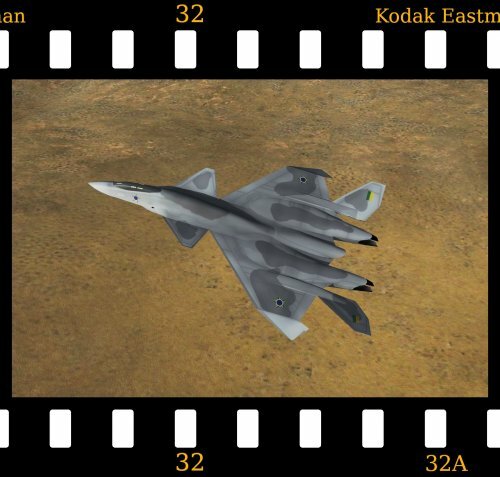 Gabilon created his Yak-41 in 2007 (his first 3D model - Chapeau!) and Fubar512 improved the FM and those improvements are duly incorporated here along with a few modifications by me. 1. Ukrainian Naval Aviation in a blue splinter scheme for maritime operations. 2. Ukrainian Air Force in a 'Flygvapnet' splinter scheme for tactical operations. 3. Ukrainian Air Force in a modern (boring) grey scheme. 1. From the AIRCRAFT folder drag and drop the Yak-41M folder into your Aircraft folder. 2. From the DECALS folder drag and drop the Yak-41M folder into your main Decals folder. 3. From the SOUNDS folder drag and drop both the sound files into your main Sounds folder. 4. From the WEAPONS folder drag and drop all four weapons folder into your main Weapons folder. Thanks to Gabilon for creating and uploading his Yak-41 back in 2007. Thanks to Fubar512 for his FM tweaks. and it didn't enter service until 1967. Generic markings with new serial numbers based on the photo of '83002' with a painted radome are included and please note that this mod uses Wrench's F-4B pit for pasko's Yak-25B 'Brewer' so it should work with any version of SF2 that has medium length runways. 1. From the AIRCRAFT folder drag and drop the H-5 folder into your Aircraft folder. 2. From the DECALS folder drag and drop the H-5 folder into your main Decals folder. 3. From the PILOTS folder drag and drop the PILOT_PLAAF folder into your main Pilots folder. Thanks to Wrench for the Brewer cockpit. Thanks also to whoever did the excellent PLAAF pilot (let me know and I'll gladly give credit). This is a very simple mod of the stock Third Wire Canberra combined with ajunaidr's Canberra cockpit to create a fictional H-4 PLAAF bomber. 1. From the AIRCRAFT folder drag and drop the H-4 folder into your Aircraft folder. 2. From the DECALS folder drag and drop the H-4 folder into your main Decals folder. Thanks to ajunaidr for creating the excellent Canberra cockpit. 1. 1979-1981 A 'Mirage F.1CZ' style scheme with tricolour fin and 'Springbok' national markings. 2. 1982-2002 As above but with the later style of national markings. 3. 2003-2012 Final Grey scheme with toned-down national markings. It goes without saying that you must have the F-4E_78 LOD's in your install and you'll also need the Mirage 3CZ DLC for the V3B Kukri and serial number decals although there are some easy workarounds if you don't. The idea for this 'what if' came from Stratos who created the 'Mirage F.1CZ' style skin whilst I did the tank skins, decals and packaging so it's an Anglo-Spanish joint venture and we hope that you enjoy it! During the mid-1970's the South African Government made tentative enquiries regarding purchasing the McDonnell Douglas Phantom for the South African Air Force (SAAF) with no success but in February 1977 the incoming Democrat President of the United States, Jimmy Carter, and the South African State President Nicolaas Diederichs agreed to the purchase of 30 F-4EZ's for delivery in 1979 and these were among the very last St. Louis-built Phantoms produced. Entering service with No.2 Squadron 'The Flying Cheetahs' of the SAAF the F-4EZ's initially operated from Hoedspruit AFB before moving to Louis Trichardt AFB in early 1993. With SAAF Impalas, Buccaneers and Mirage F.1CZ's operating in the ground-attack role the Phantoms saw limited action in the Border War but at least four Angolan MiG-21's and two Mi-17 helicopters were shot down by No.2 Squadron. The surviving F-4EZ's were finally retired in 2019 when they replaced by Eurofighter Typhoons. 1. From the AIRCRAFT folder drag and drop the F-4EZ folder into your Aircraft folder. 2. From the DECALS folder drag and drop the F-4EZ folder into your main Decals folder. 3. From the WEAPONS folder drag and drop the V3B4 folder into your main Weapons folder. Muchas gracias to Stratos for the superb SAAF 'Mirage F.1CZ' style skin created with a little bit of help from Ludo on SAAF colours and Sundowner's legendary F-4E templates - thanks guys! This is a very simple mod of the stock Third Wire MiG-21bis to create a fictional export version in service with the Parani Air Force during 1978-2002. The skin is by Paulopanz and I've added a matching drop tank and a fictional Parani missile named 'Zulfiqar' (basically a license-built version of the R.550 Matra Magic) with a matching skin. It goes without saying that you must have the stock MiG-21bis in your install but the skin could be renamed to fit most other stock MiG-21's. 1. From the AIRCRAFT folder drag and drop the MiG-21bisP folder into your Aircraft folder. 2. From the DECALS folder drag and drop the MiG-21bisP folder into your main Decals folder. 3. From the PILOTS folder drag and drop the PILOT_PARAN folder into you main Pilots folder. 4. From the SOUNDS folder drag and drop the SOVIET_DRY and SOVIET_WET files into your main Sounds folder. 5. From the WEAPONS folder drag and drop the TANK_MiG21BISP and ZULFIQAR folders into your main Weapons folder. Thanks to Paulopanz for the excellent camo skin. This is a very simple mod of the stock Third Wire F-16A Netz to create a fictional export version of General Dynamics' outstanding F-16A in service with the Dhimari Air Force during 1982-2012. Lo-Viz markings are given for No.2, No.5 and No.8 squadrons. 1. From the AIRCRAFT folder drag and drop the F-16A_Dh folder into your Aircraft folder. 2. From the DECALS folder drag and drop the F-16A_Dh folder into your main Decals folder. Thanks to wilco for the excellent grey skin from his 144IDF skin package. This is a very simple mod of the Saab J29 'Tunnan' (original read me enclosed) to create a fictional, licence-built export version in service with the Indian Air Force during 1956-1973 with markings for No.1 squadron. 1. From the AIRCRAFT folder drag and drop the J29H folder into your Aircraft folder. 2. From the DECALS folder drag and drop the J29H folder into your main Decals folder. 3. From the PILOTS folder drag and drop the Pilot_IAF folder into your main Pilots folder. 4. From the WEAPONS folder drag and drop the TANK_J29H folder into your main Weapons folder. Thanks to the original 'Tunnen Team' and, in particular, Phlerp the 3D model maker and skinner. This is a very simple mod of the stock Yak-23 'Flora' to give a fictional export version for the Parani Air Force. Since my first 'Flora' mod we've had a superb cockpit by Stary so I've included it within this package. 1. From the AIRCRAFT folder drag and drop the Yak-23P folder into your Aircraft folder. 2. From the DECALS folder drag and drop the Yak-23P folder into your Decals folder. 3. From the PILOTS folder drag and drop the PILOT_PARAN folder into your Pilots folder. As always, thanks to everyone at Third Wire for a great little game/sim. Big thanks to Stary for his superb 'Flora' cockpit - it's bloomin' lovely. 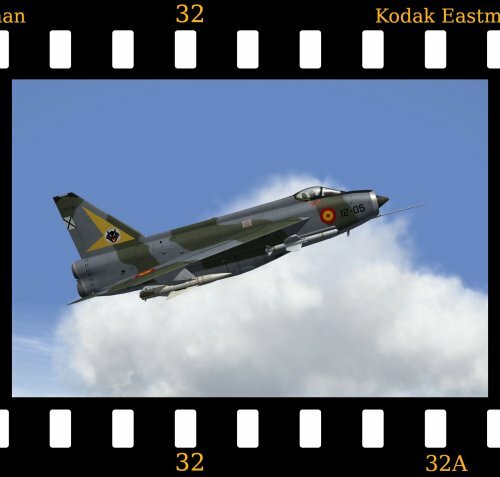 This is a very simple mod of the stock Third Wire F-105D to create a fictional export version in service with the Hellenic Air Force during the 1967-1982 timeline. Markings are included for the 340th Fighter-Bomber Squadron and the 341st Fighter-Bomber Squadron with the latter having the stock sharkmouth - easily switched to both or neither. A patch template is also included in case you'd like to add your own HAF squadron. 1. From the AIRCRAFT folder drag and drop the F-105H folder into your Aircraft folder. 2. From the DECALS folder drag and drop the F-105H folder into your main Decals folder. 3. From the PILOTS folder drag and drop the PILOT_HAF folder into you main Pilots folder. 1. From the AIRCRAFT folder drag and drop the Lightning56 folder into your Aircraft folder. 2. 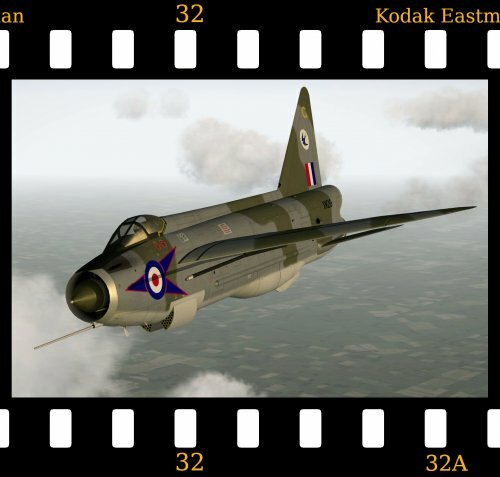 From the DECALS folder drag and drop the Lightning56 folder into your Decals folder. 3. From the WEAPONS folder drag and drop the AS-30 folder into your Weapons folder. As always, big thanks to Third Wire for the continuous improvement of a great little game/sim. Expansion Pack 2 rocks! This is a simple mod of the stock non-flyable Third Wire E-2C to create a fictional Hawkeye AEW.1 in service with the Fleet Air Arm of the Royal Navy. You simply must have Strike Fighters 2 North Atlantic - it will not work in any other game. 1. From the AIRCRAFT folder drag and drop the E-2K folder into your Aircraft folder. 2. From the DECALS folder drag and drop the E-2K folder into your Decals folder. Special thanks to pappychksix for the E-2C 'Late' skin which I've resized down to 2048x2048.